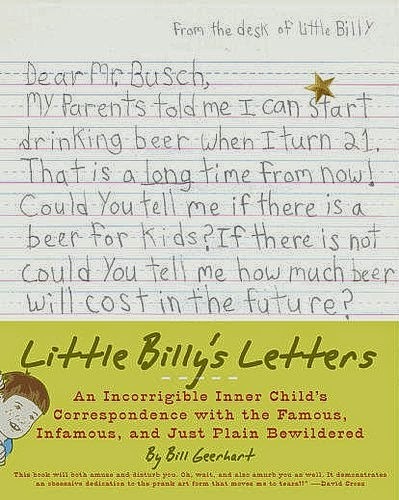 Little Billy’s Letters is a collection of prank letters written by Bill Geerhart to celebrities and infamous people. Bill Geerhart wrote the letters pretending to be a ten year old boy to learn what advice people would have for a child. He had help from a young relative who would scrawl the letters for him to make them look more authentic. Little Billy wrote to many people regarding whether he should stay in school, what type of religion he should choose, what career he should have and many more issues. My favourite letters were about his dog dying and asking the cryogenics companies whether he could freeze his dog. The companies wrote sympathetic letters to Billy explaining how they couldn’t bring the dog back due to the tissue damage and advising him to show the letter to his parents. 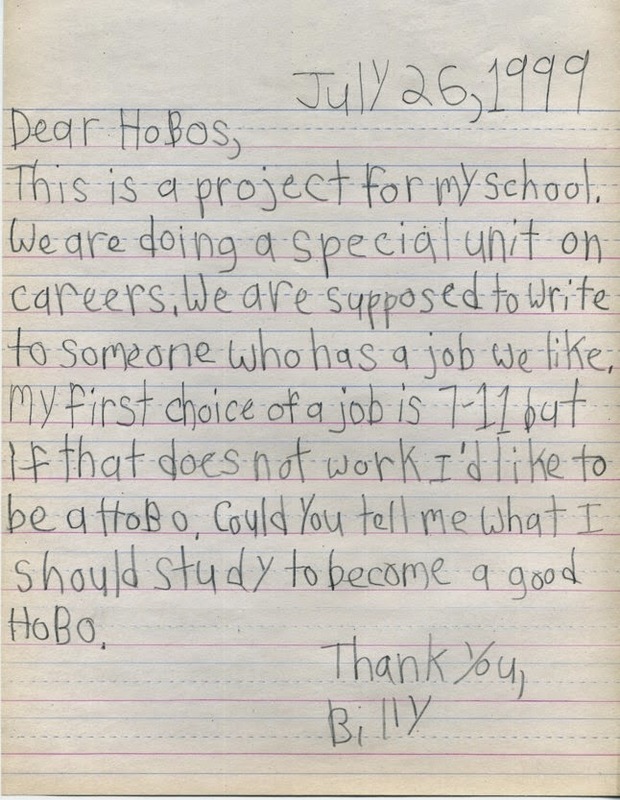 I also liked the letter to the National Hobo Association on advice on how to become a hobo or whether he should be a 7-11 clerk. Billy got a very nice letter back and free book. I think the book is charming, funny and cute in some spots. As Bill Geerhart sent a flood of letters to many celebrities and notable people, it gets repetitive and boring reading the responses to the same questions. I think this book is good for some light entertainment, which you can browse through like a magazine.